You’re driving down the road and see something in the distance… it’s coming at you. Moving at a decent pace. As your car approaches this graceful creature, you are in awe of it. Let’s be honest, there is nothing about running that is pretty. Well, except maybe the cute little lady outfits they make now. In fact, more often than not, the face says it all. Strained. Breathing hard. Intently focused. I, myself, have been known to shed tears… not from crying, but from the wind. Sure, running is a wonderful way to get the heart pumping… condition and tone the body… get from Point A to Point B. But it can also be tough on the body. The joints. And if you don’t train properly, it can be downright bad for you. There is a part of you that admires these people. And a part of you wants to run among them. 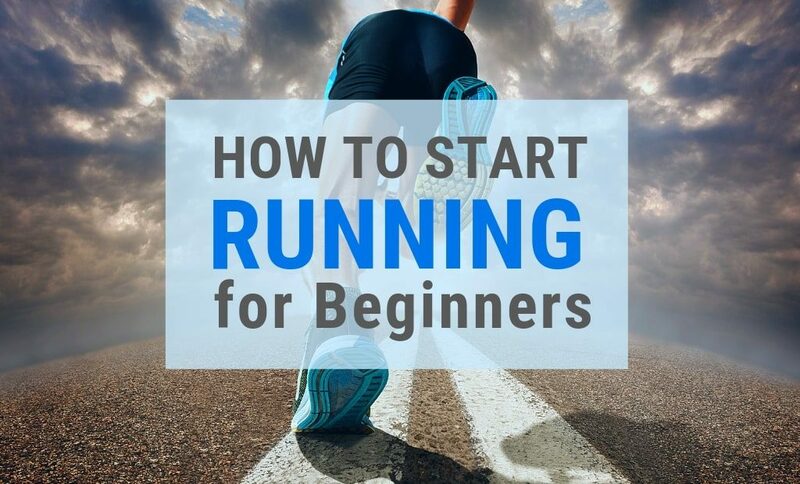 Today, I will share my tips on how to start running for beginners. I will provide a step by step outline… and help you create a plan for getting started. Why running? Is it for me? Before we delve into this… it’s important to ask yourself this question. Afterall, there is a large sect of people who walk. And some of them can walk mighty fast at that! If you’ve read up on the subject, walking can be just as effective as running. Yet, you still want to run. Like I said, if you have done your research (and you should if you’re serious about this), you would have come across other exercises that can have similar effects to running. Walking – Not to beat a dead horse, but walking can do wonders for your body… and anybody can do it. In fact, even if you plan to run, walking is a good place to start. Both exercises are great cardiovascular workouts… and neither is necessarily “better” than the other. The choice that’s best for you depends entirely on your fitness and health goals. Starting to walk requires no real training plan. Simply put on a pair of comfortable shoes and go as fast, and as far, as you can… gradually building up your stamina a little each day. Biking – If speed is what you’re after… you may want to consider biking. It will actually get you from Point A to Point B quicker than running. You can also usually cover a lot more ground than with running… at least in the beginning. And, it is easier on the joints (but not the tush!) than running… although the calorie burn depends on your intensity and terrain. Hills equal more calorie burn. Coasting equals less. Swimming – Swimming isn’t just for summer. There are indoor pools you can join. Fitness centers. Swimming is a wonderful exercise that puts absolutely no pressure on your joints. In fact, my mother, who’s had multiple back and hip surgeries, can swim. The doctor even recommends it. You are weightless in water. Which makes it something anyone can do… even if you’re overweight or suffering from joint or muscular issues. The strokes may take some work, but even walking in the pool can burn calories thanks to the water’s natural resistance. Elliptical Trainer – The elliptical trainer is a stationary cardio machine that combines the movement of running with stair climbing… without the impact on your knees and hips. It also incorporates handles for an upper body workout at the same time. The calorie burn per hour is slightly more with running, but you can always increase your resistance and “terrain/incline” on the elliptical to make up for that. Because if you’re still sold on running, we need to move on to physicality. If you’re serious about getting started, you need to take a good look at yourself. Not necessarily in the mirror, but at your overall health. It’s a good idea to get a physical with your doctor if you haven’t had one recently… especially before starting any new exercise regime. You need to make sure your heart, joints, muscles, lungs, blood pressure, cholesterol, etc… are all in good enough shape to start running. After all, you don’t want any bumps in the road later… pun intended. However, there are doctors who might suggest you try dieting first to lose a few pounds if you’re overweight… before subjecting yourself to the impact running causes. Which isn’t a bad idea. After all, you want to run to improve your overall health… not dampen it. There are many meal planning and weight loss apps… even proven diets that can help you lose a few pounds… without necessarily sacrificing all of the foods you love. Losing as little as 5% of your body weight can make a big difference. What are you hoping to get out of running? Run a 5K for a cause? This is the question you need to ask yourself before getting started… because the answer will become your motivation. And motivation is the keyto sticking with a run plan. For instance, mine is overall health. My husband and I had them late-ish in life (we have four kids under 9… and are both 43-years-old). We want to be around for them as long as possible. Be able to keep up with them. Diet and regular exercise are crucial to our plan for longevity. We are doing our part to control what we can… for as long as we can… for them. Identifying this is a first step in how to start running for beginners. There will be days you don’t feel like running. You have too many things to do. And without proper motivation, you won’t stick with it. You need to make running a priority… just as cooking dinner, food shopping, getting the kids off to school and going to work is a priority. Once you establish your motivation, you should familiarize yourself with the benefits of running and which ones will help you get the most out of your journey. Running is one of the best forms of exercise for losing or maintaining a consistent weight. You will find that it is a leading way to burn off extra calories… and the second most effective exercise in terms of calories burned per minute, just behind cross country skiing. When you run… you are essentially using every muscle in your body. Your glutes, hamstrings, calves are only the obvious ones. Your back and stomach muscles, as well as the upper body, are getting a workout as well (especially if you swing your arms and rotate properly). The impact is felt all over… just look in a mirror after a couple of weeks and you will see for yourself. Research shows that running can raise your levels of good cholesterol, while also helping you increase lung function and use. Additionally, running can also boost your immune system and lower your risk of developing blood clots. You may be winded during or after a run… but you will find, over time, that you are less winded doing everyday things than you used to be. Things like chasing your toddler up and down the stairs, running after your dog when he sees a squirrel, playing a game of catch with your teenager, hiking with your partner… it will all feel much easier after a few weeks of proper run training. For women, running can actually help to lower your risk of breast cancer. It can also help reduce the risk of having a stroke. In fact, many doctors today recommend running for people who are in the early stages of diabetes, high blood pressure, and osteoporosis. It is also proven to help reduce the risk of having a heart attack… as running can help the arteries retain their elasticity and strength the heart, which makes your chances of suffering a heart attack significantly less. Setting goals and meeting them will create a wonderful sense of accomplishment, which is a sure fire way to feel productive and good about yourself. Exercise is a mood regulator… and you will likely feel happier and more confident for hours after a good run! It is no secret that stress can actually cause a number of physical and emotional health problems. It can also cause appetite loss and affect your sleep. When you run, you are allowing your body to exert excess energy, hormones and endorphins… which can regulate your mood and alleviate pain. Sidebar: Running can also help with tension headaches. Even at the end of a short run, you will immediately start to feel more energized and focused… which will help you put things into perspective and not sweat the small stuff as much. A huge benefit of running is the cost factor. In fact, it’s such a huge benefit in my opinion, that I gave it it’s own subhead. After all, the majority of people in this world are not made of money. They are working class individuals trying to live within a certain set of means. Being comfortable is what most people want. Not having to worry about finances is what everybody wants. We work at jobs that allow us flexibility, that pay our bills… and our children are able to try many different activities. My husband and I also don’t allow ourselves too many personal “luxuries”. Those are reserved for our children. We don’t drive fancy cars. We don’t buy new clothes that often. We don’t eat out multiple times per week. Massages are typically anniversary and birthday treats. I don’t get my hair styled or colored more than 1, maybe 2, times per year. I don’t remember the last time I had a mani/pedi. We try and golf during off-peak hours. We don’t have premium cable channels. We don’t belong to a gym. And running doesn’t require me to do so. 4-5 days per week (you need to build in some rest days… but more on that later). I simply put on a pair of shoes and go. No gym membership… no treadmill required. I even run in below freezing temps. That craving for my “runner’s high”. The low cost is a definite plus on my pro/con list for why and how to start running for beginners. Ok, now that you’ve educated yourself and established your motivation and goals… it’s time to get down to business. Whenever my friends ask me about how to start running for beginners… I always say, “let’s go shopping!”. Hey! No stereotyping allowed! I am a woman… yes; but, that doesn’t mean I love shopping. Shopping for the perfect running shoes is key in getting started. No two feet are the same. And while most any sporting good store will have a decent selection of running shoes… it’s really important (if you’re serious) to visit a running store. A place filled with employes that are actually… say it with me… runners! After all, would you go to a convenience store for filet mignon? I mean, sure… you could by some meats at a 7-Eleven; but, the grocers and butchers know their prime cuts. Maybe it’s a stretch of an analogy, but you get my drift. If you want the best, go to the people that sell the best. The ones that are educated about it. The best speciality running shops will often have a treadmill on premises to check your running gait. Simply put, a gait is a person’s manner of walking. Or in our case, running. A gait is defined by the way your body moves from one place to another. Basically, it’s the way you walk, run, dance (essentially all the ways you can move from one point to the next). These shops will ask you to run on the treadmill in order for them to provide a gait analysis. The gait analysis may involve you providing a little background to the clerk, followed by a review of your movement. What type of terrain you’ll primarily be running on? All of this information will be used to fit you with the perfect running shoe. The type of running shoe that’s best for you depends on the positioning of your foot and arch. Pronation is a term used to describe a person who places their foot inward. People with a moderate arch have lesser pronation. Flat-footed people have a higher pronation and need running shoes with arch supports. People with high foot arches place their feet outward, known as supination. TIP: if you want to try and figure this out on your own, here’s a trick: Take a look at one of your old, well-worn pair of socks. Observe where they have worn out. If you have moderate pronation, the socks will have thinned out on the balls of your feet and the outside of your heels. If you are placing your foot on the outside, then the socks will have thinned out near your little toes and the outside of the heels. Flat-footed people tend to step more on the inside, and hence, their socks thin out around the big toes and inside of the heels. Once you’ve established your running terrain and foot arch, you are ready to buy your first pair or shoes! #1. The Neutral/Cushioned Shoe – These shoes are ideal for people with a natural or neutral gait; or even for people who tend to supinate (step on the outer side of their feet). They offer minimal cushioning and are light in weight. They are generally designed for faster movement and a soft underfoot feel. #2. Stability Shoe – Apt for people who display mild to moderate foot pronation, stability running shoes are reasonable in weight and offer good cushioning. The arch of these shoes is firm and provides excellent support to the foot, encouraging a natural step. #3. Motion Control Shoes – Offering maximum support and cushioning, motion control shoes are the best for flat-footed people. They are heavier than the shoes mentioned above, they are made of stiffer heels and straight arch supports to prevent the foot from stepping inwards. #4. Barefoot/Minimalist Shoes – These shoes have a minimum or zero cushioning and support. They are close to the traditional form of barefoot running and provide only the bare minimum protection that the foot needs. Wiggle Room – You should have about a thumb’s width of room between the end of your longest toe and the front of the shoe. Hold It – Look for a secure, comfortable fit through the midfoot. Imagine a hand gently holding your foot in place. The Heel Deal – There should be little or no slipping at the heel. Once you’ve got your shoes in hand, you’re ready to rock. Although I do suggest wearing them around the house a bit first to break them in… possibly even taking them for a walk or two before you run. This will acclimate your foot with the shoe… kind of like they are going on the first few dates with each other. Not that I’m already looking to give your trusty shoes the boot (ha ha ha)… but you do need to change them up fairly regularly if you’re running a good amount. How often you need to replace your shoes will largely depend on how much and how far you run. Some people (like yours truly), buy two pairs of shoes at a time and alternate them… to get a little more wear out of them. But this is a personal choice. So how often should you change up your shoes? Well, according to some researchers, running shoes should be replaced anywhere from 300 to 500 miles after the first wear. This is because most of the cushioning that running shoes are comprised of nowadays comes from EVA foam, a lightweight material injected with air cells designed to absorb impact. This foam, like most things, eventually wears down and becomes less effective over time. Once that foam wears out, the risk of overuse injuries increases, because the material has lost its ability to absorb shock . And while some of these injuries, like shin splints, are considered to be fairly minor (although not painless)… others, such as tendinitis, can require serious treatment and maybe even surgery. While shoe milage is a good place to start… other factors such as weight and foot strike also play a part in just how often you need to trade in your old kicks for some new ones. (1) Try the press test – Press a thumb into the center of the shoe, where the midsole is. If the midsole feels tough and unyielding (rather than cushy with some “give”), then it may be time for a new pair. (2) Look for signs of creasing – Look at your shoe’s midsole, then use your thumb to press on the outsole into the midsole. When the midsole shows heavy compression lines before you press into it, and doesn’t compress much when you press into it, that’s a sign that the cushioning is pretty much worn out. (3) Pay attention to aches and pains – While some say pain is weakness leaving the body, others say it’s an indication that something is wrong. A little twinge at the bottom of a foot could be your body’s way of saying that a shoe is past its prime. (4) Compare new shoes with old ones – Trying on an old pair of shoes immediately before trying on a new pair gives runners a direct comparison of which feels better. Once an old pair of shoes stops feeling comfortable, it may be time to change it out. For more information on this topic, visit the REI website. When trying to teach someone how to start running for beginners, it’s important to give a condensed lesson in nutrition. Specifically, the foods your body needs before and after a run… otherwise referred to by some as pre-run foods and recovery foods. Pre-run foods are important for fueling your body sufficiently enough to cross the finish line… whether that be a short run before work, or a weekend distance run. Regardless the distance, the proper foods will give you the energy you need to get it done. In addition to selecting types of foods that will benefit your body, it’s important to also keep in mind the amount of food you consume. Eat too much, and your stomach may cramp up as you kick it into high gear. Eat too little, and may feel weak (even nauseous) from hunger throughout the run. Experts say pre-run nutrition is based on both mileage and the type of workout (recovery, base, interval, etc). It also matters how much time before the run you’re consuming the meal. Ideally, this is 2 hours prior… but, as we all know, best laids plans don’t always pan out. Conversely, recovery foods are less about fueling your body… and more about repairing it. Selecting the proper recovery foods can help restore muscles, strengthen bones, and reduce inflammation… plus they taste pretty great! It’s important to put the right things into your body after a run, so that your body is able to handle the next one… and the one after that. Proper nutrition is crucial is sticking with your run plan. Post run meals vary, from simple to complex. It all depends on how much down time you have. Give your body what it needs before every workout… and it will return the favor two-fold come your next run. The first rule when it comes to how to start running for beginners is to “get in the zone”. You need to convince yourself that you are a runner. Not that you will be a runner… but that you are a runner. Being in the proper mindset is half the battle when you’re starting out. If you believe you can do it… you will. Remember, it is not a race… at least not yet! But you’ll get there, at your own pace. And if you’re reading this, you’re obviously serious about getting started… which means you’re already making your way into the zone. Now picture yourself running to Point A. Now take a deep breath and jot down some goals. It is human nature (at least for most of us) to try and take on too much, too fast. But if your plan is to step out of your front door and immediately start jogging 5 miles, without stopping, on your first day… you are sorely mistaken. Oh, and you will be sore too! That is, if you don’t collapse first. If you’re treating running as a habit, your plan should include cues. Cues such as time, place and rewards. In the beginning… your goals should revolve around dedication, increasing your lung capacity and getting your heart rate up slightly. It should also include warming up your muscles gradually with shorter distance goals. Just because your final goal is to run a 10k… doesn’t mean you should start out running that far on Day 1. Give yourself a pat on the back for starting out slow and steady towards a tangible goal, say 1-2 miles of primarily walking, with a few intervals of jogging mixed in. The internet is chock full of sample plans to show you how to start running for beginners, but the thing they all have in common is walk first! The Run/Walk Method is not only a great place to start for new runners… but also a way for more experienced runners to improve their race times. The method is often credited to Olympian, Jeff Galloway. Now before you get all worked up… I know you want to run. But trust me on this (and Mr. Galloway), you’ll likely hurt your cause if you don’t begin by going for a walk. The technique is not meant for you to only walk when you’re tired; but rather to incorporate brief intervals of walking into your run intervals… even if you feel just fine. You can pick whatever ratio of walking and running that works for you. Warm-up – this is a must! A good warm-up signals to your body that it will have to start working soon. By slowly raising your heart rate, the warm-up also helps minimize stress on your heart when you start your run. Do this for the duration of the run… however long you choose to go for. I’d suggest 15-20 minutes minimum to get the heart pumping properly. But I will be honest, you know your body better than anyone. What plan may work for one person, may not be ideal for another. When I talk to people about how to start running for beginners, I always suggest they listen to their bodies… and recognize their physical limitations and motivation. But again, if you’re not confident in your level of physicality… check with your doctor. And if you experience real pain or discomfort at any time, stop immediately and seek medical advice. I am not a medical professional… I am merely a mom who likes to run, and giving advice as such. On the other hand, if you’re already the athletic type… maybe you cycle or swim, do pilates. And you just want to give running a try (maybe you’re goal is a triathlon)… then you can likely push your limits a bit more when starting out. Generally speaking, most people with ambitions of becoming runners start out using a run/walk technique because they don’t have the endurance or fitness to run for extended periods of time. And I was fairly athletic… or at least active. The run/walk method involves running for a short segment and then taking a walk break. As you continue with a run/walk program, the goal is to extend the amount of time you’re running and reduce your walking time. However you need to do it, whatever your interval settings… just make it happen. Whenever I think about running… I think about my tunes. What will get me “motoring” and keep me going. The thought of running in silence is, well, deafening to me. I have a very calculated playlist that gets me through my stretching, warm-ups, the highs, the lows. I even have my music timed to different points on my run plan. Like the song, “Are We There Yet?” by Big Bang Boom, when I’m about ¼ mile from the cell tower I run to on Tuesdays. For you, however, it may be a book on tape that you don’t have time to listen to otherwise. Or a lesson in a language you’ve been dying to learn. I actually learned conversational polish while running one summer. If you aren’t able to find a partner to keep you going… having something to listen to is the next best thing. In fact, I’ve recently started bring my 8-year-old along on my Saturday morning runs… training him properly… and the first thing he asks is, “Where are the tunes?”. If you’re not into creating your own run plan from scratch… there’s an app for that. There are even apps that will help you create a “playlist”. Apps that will give you nutritional tips for fueling your run. Apps that will map out a course for you. In fact, of all of the things we touched upon today… there is an app to help you with it! I’ve tried quite a few, and have found my personal favorites. Just as no two people have the same fashion sense… no two people may find the same apps useful for training. So I’ll give you a list of some good ones to check out for yourself. Map my Run is an app created by Under Armor. This means you can sync to under armor smart products (like their shoes) effortlessly… tracking everything from pace, stride length, and cadence. Plus get personalized coaching tips along the way. The app also allows you to log any kind of workout, using just your smartphone… with its ability to sync to Map my Run sister app, My Fitness Pal, as well as Weight Watchers. Map my Run also works with your Fitbit, Garmin, Google Fit, Jawbone or Apple Watch. A free version of Map My Run is available on iTunes and Google Play. The ad-free premium version starts at $5.99 per month, while the yearly subscription costs $29.99 per year, or $2.50 per month. Your subscription renews automatically unless canceled at least 24 hours prior to the end of the current period. Access additional premium features on MapMyRun.com. This running app, brought to you by Active, is free to try… and was designed to assist people like yourself how to start running for beginners. The program promises to propel you from couch potato to runner of a 5K race… in just 20-30 minutes a day, 3 times per week, for 9 weeks. If it sounds too good to be true… it’s not. Couch to 5K is free to try. The most popular ad-free version is $2.99 per month on iTunes or Google Play… and worth every penny, in my opinion, if you really want to run a feel good race! 3. HumanHuman is a free, all-day activity tracker that inspires you to be more active and helps you to move at least 30 minutes… every day. It’s not the best running app per se… but it is an option if you’re starting out slow and finding it hard to get going. The all-day activity tracker runs in the background of your phone (so it may eat up your battery) and automatically picks up walks, runs, and bike rides. It then displays your daily activity on a map and how you stack up against people in your city or neighborhood. It’s niche is to pick up activities lasting 1 minute or more, with a focus on outdoor activity… which is way different than a step counter. It is available on both Google Play and iTunes. Reviews say that Pacer like having a run buddy and health coach in one app. You can track all your activities in one aesthetically pleasing and intuitive interface. Plus, you’ll get motivation and support from the Pacer community. Pacer syncs steps & calories with MyFitnessPal and Fitbit! Free to try on Google Play and iTunes. The Runcoach app and coaching service program utilizes a combination of cool technology and real coaches to provide highly personalized guidance. Your training is customized to meet your needs… based on your goals with workouts specifically designed for you. Your Runcoach training schedule will take into account your current fitness level, how many days per week you can run, cross-training, and of course all the other schedule demands outside of training. It will safely build mileage and speed so you can unleash your fitness potential without risking burnout, overtraining or injury. Our goal is not only to get you to the starting line, but also to provide the right training to achieve your best performance on race day. Get help from experienced coaches with questions on training, nutrition, or injury prevention. Runcoach Basic is free to download and use via Google Play or iTunes. They also offer a 14-day free Gold membership trial, with access to its team of world-class coaches. After the two-week free trial period, you can continue to use Runcoach Basic… or upgrade to a Gold membership with unlimited personal coaching through their platform, for $19.95 per month. Or $119.95 annually. So What Have We Learned About How to Start Running for Beginners? We’ve covered some good ground today… literally. 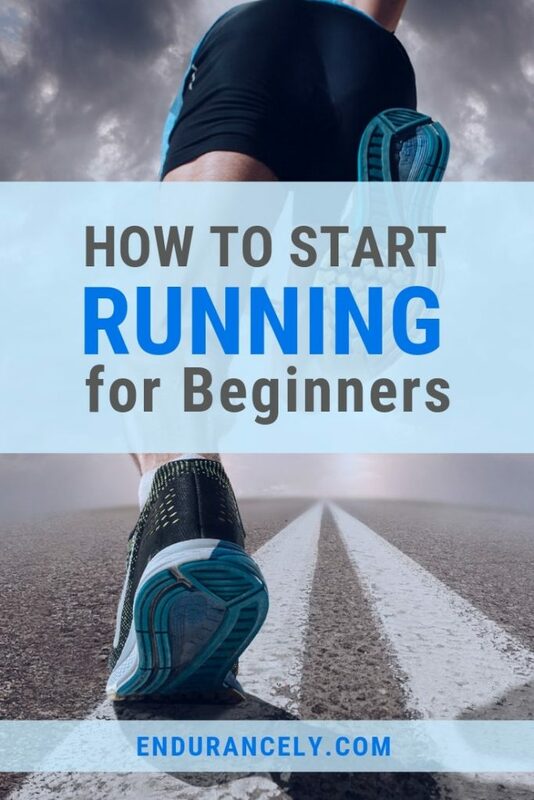 And if you stuck it out for the duration, you might have learned a thing or two about how to start running for beginners. Afterall, I put a lot of work into this. All kidding aside, I get it. That being said… you, my friend, are worth making time for. Your physical and emotional well being are worth making time for. And running just happens to be a perfect way to get both of those things under control. Honestly, anybody can start running. Sticking with it is the hardest part. Truth be told… you will have days when it feels so much easier to just give up, or “skip it”, because it’s just easier. If you take it slow in the beginning, set realistic goals, seek support and channel your motivation… you will succeed.